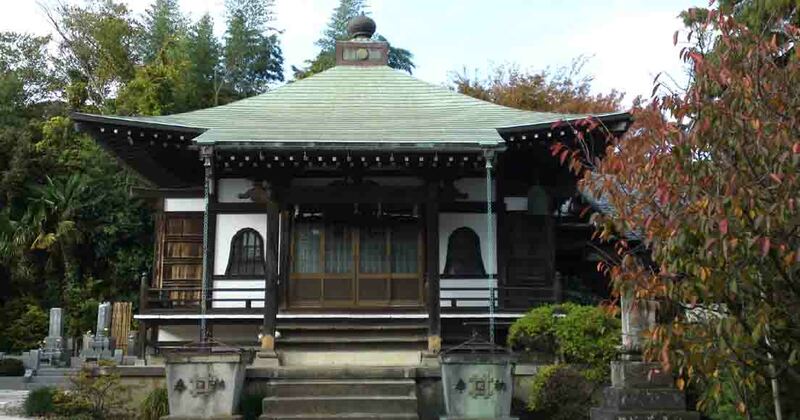 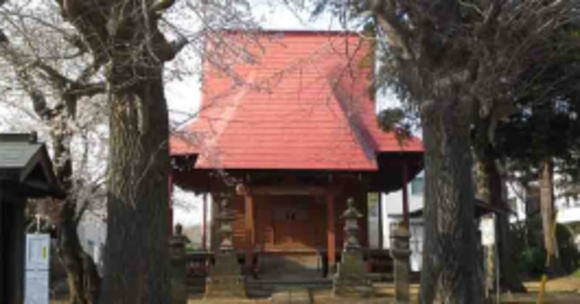 Shochuzan Hosenin Temple is one of the four oldest branch temples of Hokekyoji called Nakayama Yoninke. 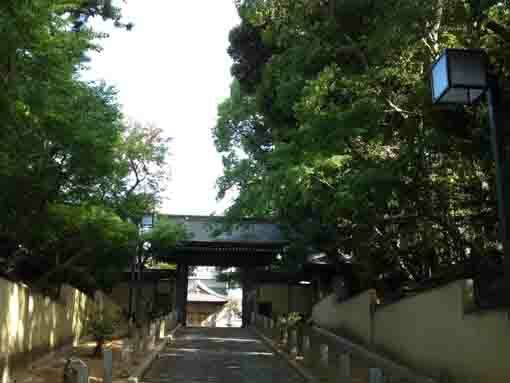 Nichiin who was a sumurai worrier from Kamakura to Muromachi period named Tanesada Chiba, became a Buddhism priest and built this temple in 1313. 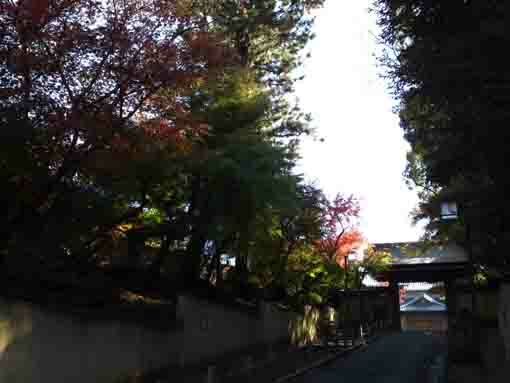 It is on the way to Okunoin from Hokekyoji Temple. 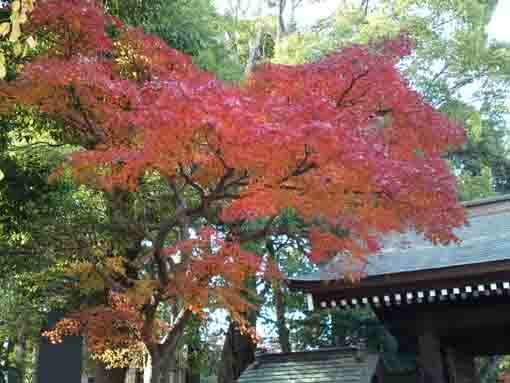 The temple was beautifully decorated with white and red crape myrtle blossoms in summer and yellow and red maple leaves in fall so it was a famous spot for viewing colored leaves. 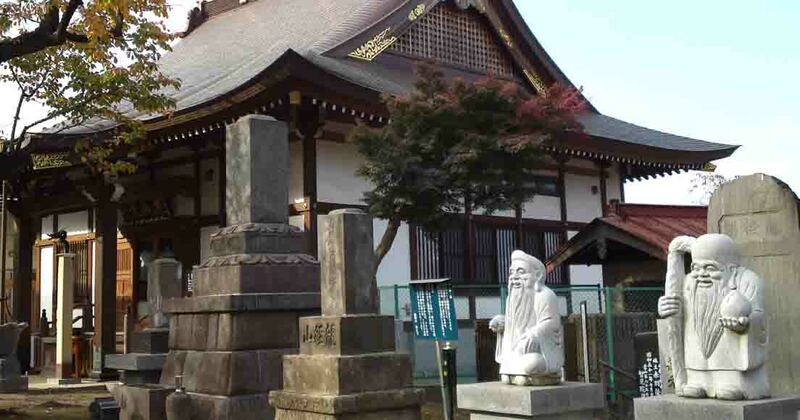 Moreover, it was a important temple since the venerable Niisshin who was called Nabekaburi Nisshin (putting a pan on his head) worked hard on his mission in Kyoto and Kyushu in Muromachi period and entered the Buddhist priesthood in it. 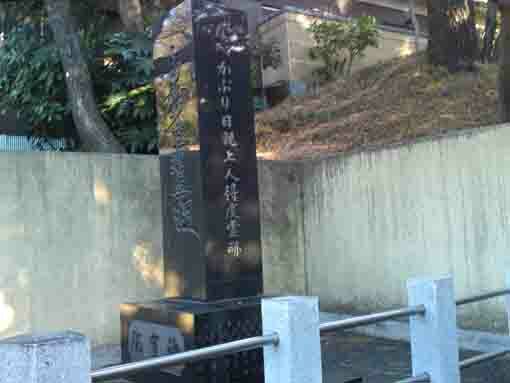 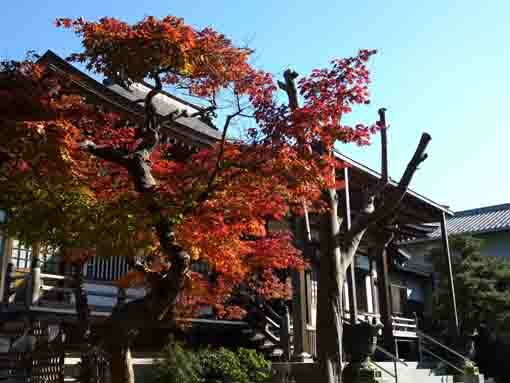 Why don't you visit Shochuzan Hosenin Temple? 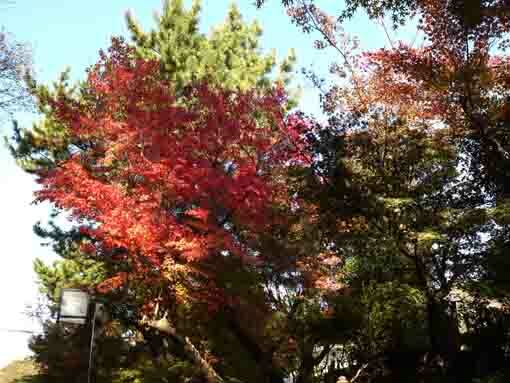 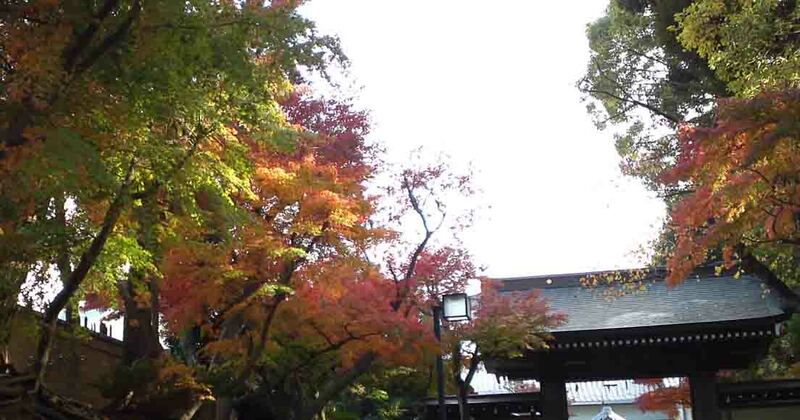 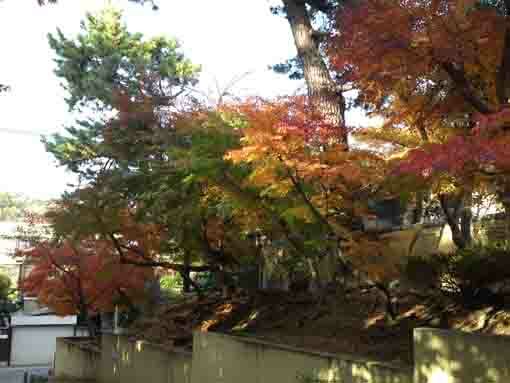 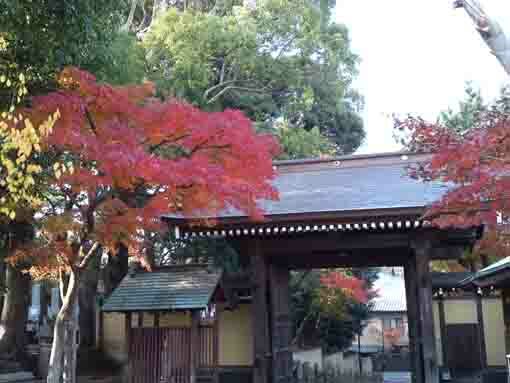 Some know Hosenin Temple is a noted spot for viewing beautiful colored leaves. 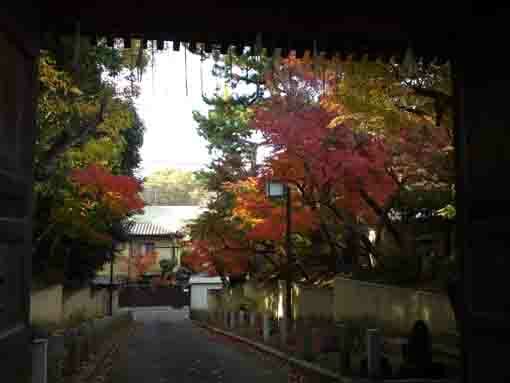 The approach road to the sanmon gate was colored like a yellow and red curtain. 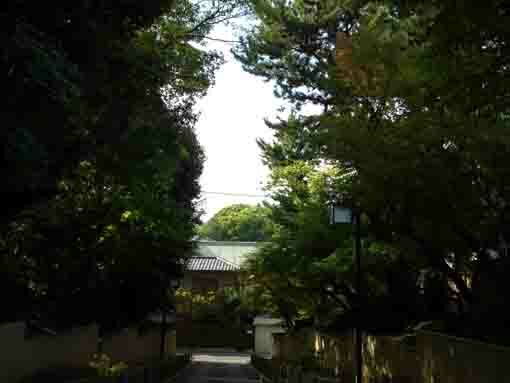 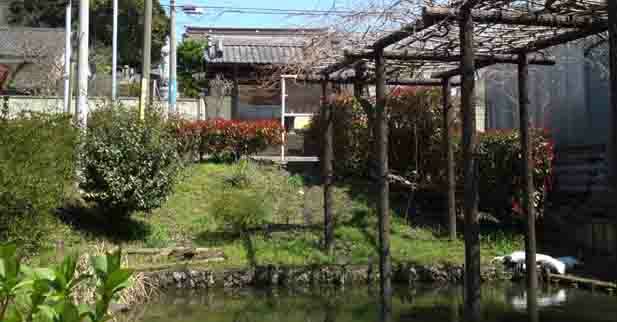 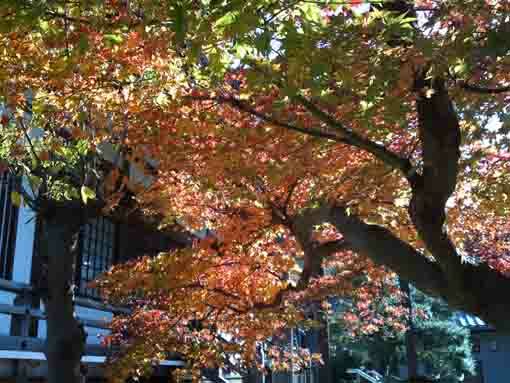 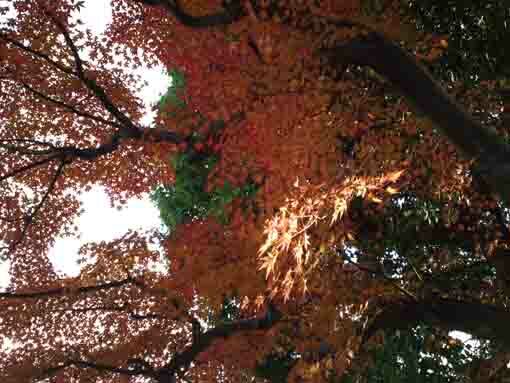 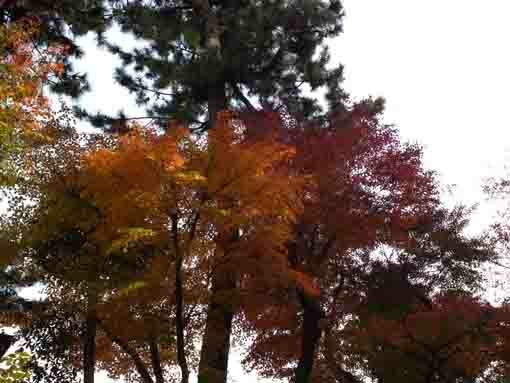 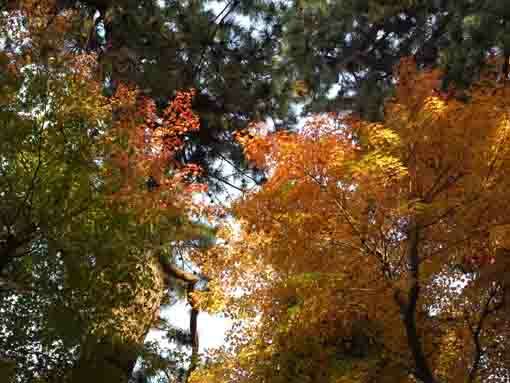 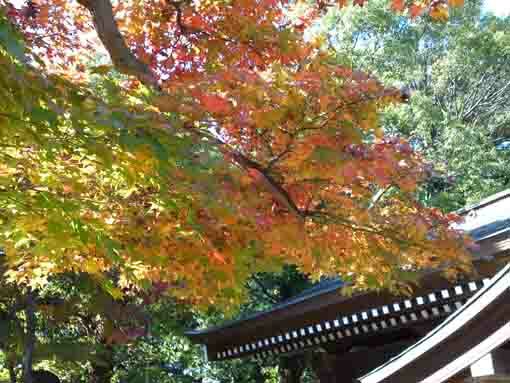 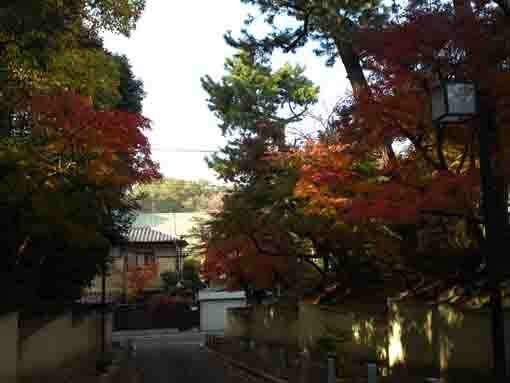 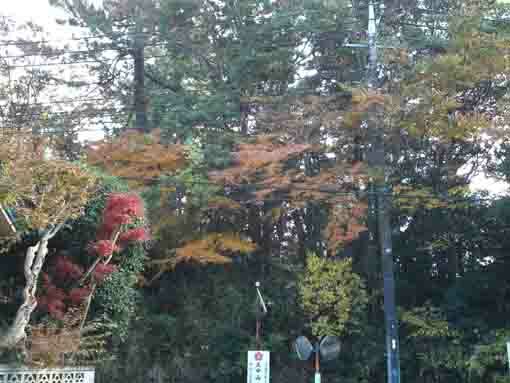 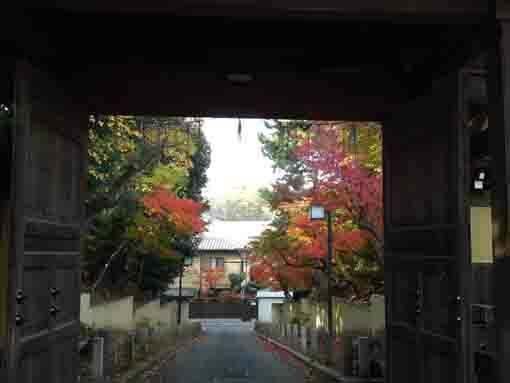 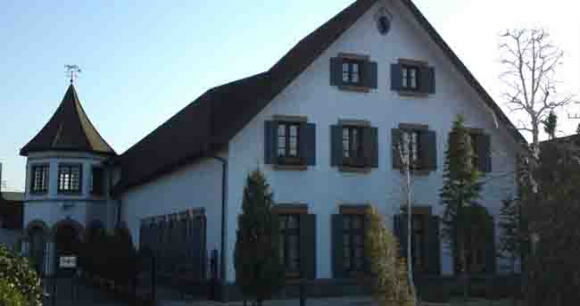 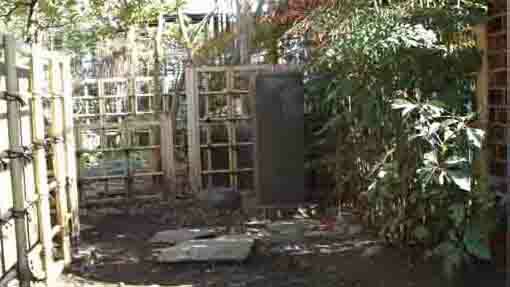 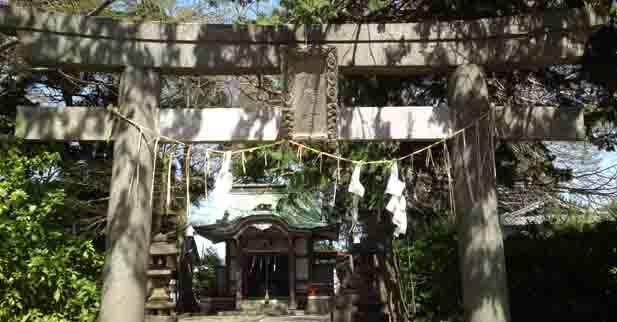 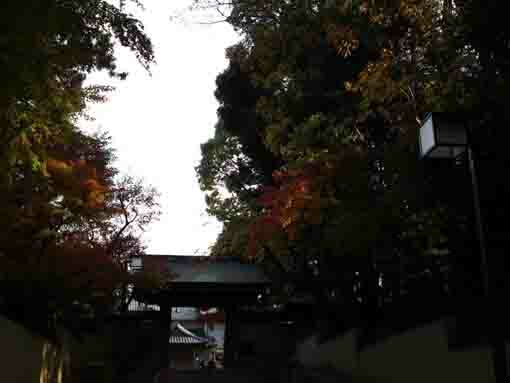 And visitors could see the gojunoto in Hokekyoji Temple with colored maple leaves and autumn views in Nakayama from it. 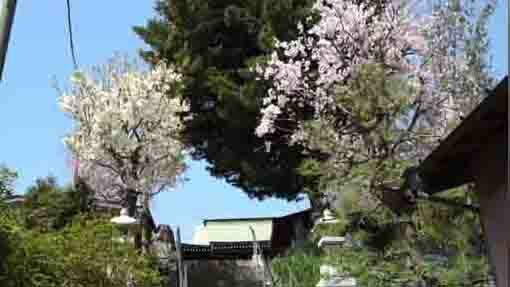 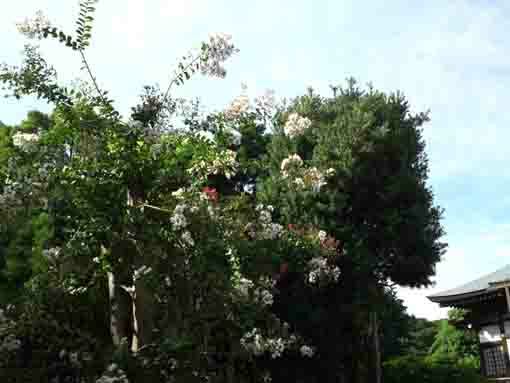 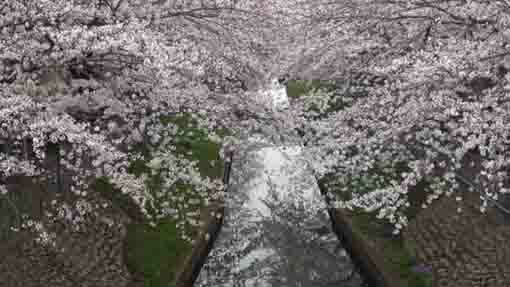 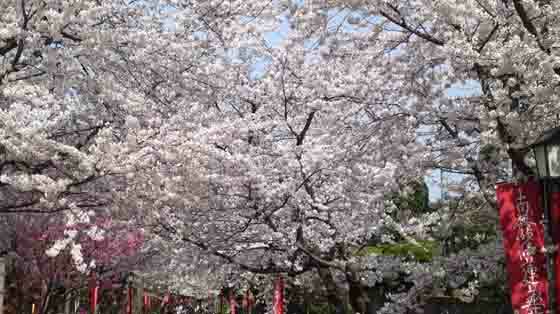 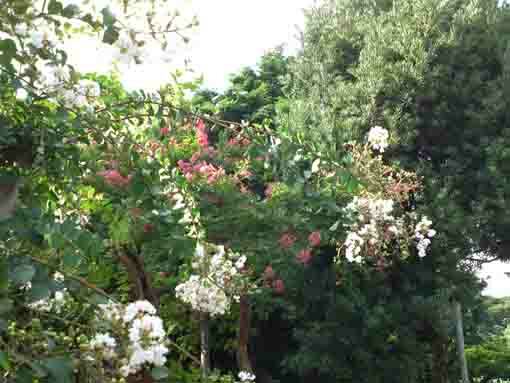 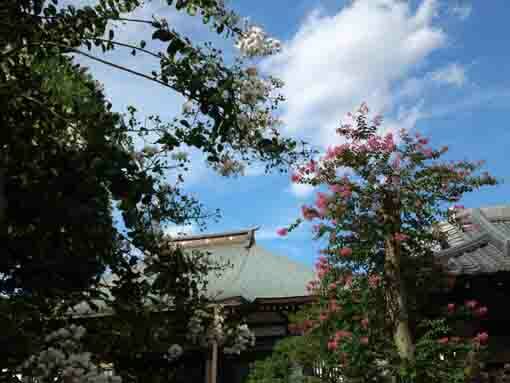 In summer, Hosenin Temple is decorated by pink and white sarusuberi blossoms. 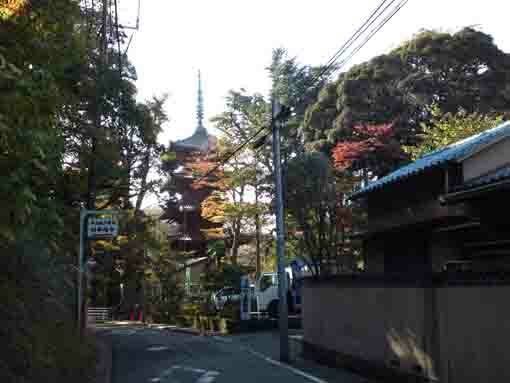 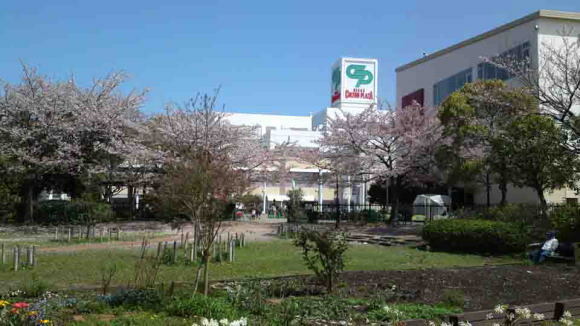 Hosenin Temple has a great accessibility from both Narita and Haneda International Airport.